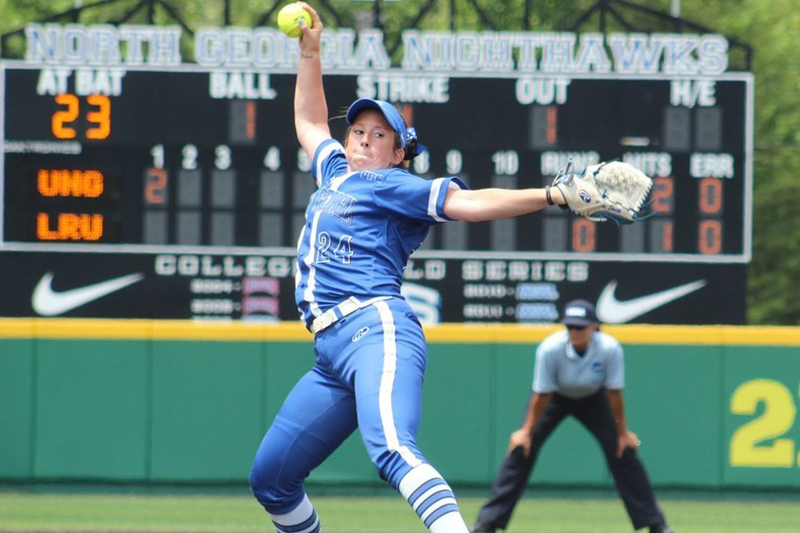 All-Conference pitcher Kylee Smith is one of nine players returning to this year's UNG softball team, which is ranked No. 7 in the nation in preseason polls. The University of North Georgia (UNG) softball and baseball teams are predicted to finish among the top teams in the Peach Belt Conference (PBC) in a recently released preseason coaches' poll. 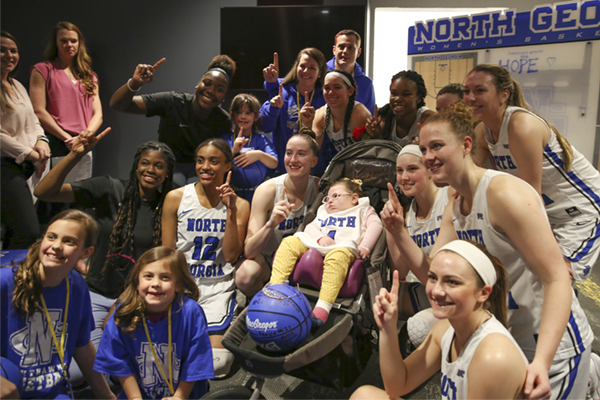 For the third consecutive year, UNG's softball team has been picked to win the conference; the Nighthawks received nine of a possible 10 first-place votes, claiming 99 points. UNG's baseball team, after making its first-ever trip to the NCAA World Series in 2017, is predicted to finish third in the PBC. "We are excited that all of our spring sports are getting geared up for their championship runs," UNG Director of Athletics Lindsay Reeves said. "Both our baseball and softball programs have been picked by their peers to finish high in the PBC preseason polls, and those programs both are looking to extend their streak of highly successful seasons." The softball team will attempt to win its fifth-straight PBC regular-season championship in 2018, which would become the longest streak in league history. The Nighthawks have also won four consecutive PBC Tournaments. In the poll, Flagler was picked to finish second, followed by Young Harris, Georgia College, and Columbus State. The 2018 Nighthawks return nine players from last year's (48-13 overall, 20-4 conference) squad, including All-Conference pitcher Kylee Smith, utility infielder Kaylyn Anthony, outfielder Lexi Duncan, infielder Alishia Frierson, and infielder Sydney Sprague. Nationally, UNG is ranked No. 7 in the National Fastpitch Coaches Association preseason Top 25. Duncan, Frierson, Smith, and Sprague have been named to the preseason All-Conference team. 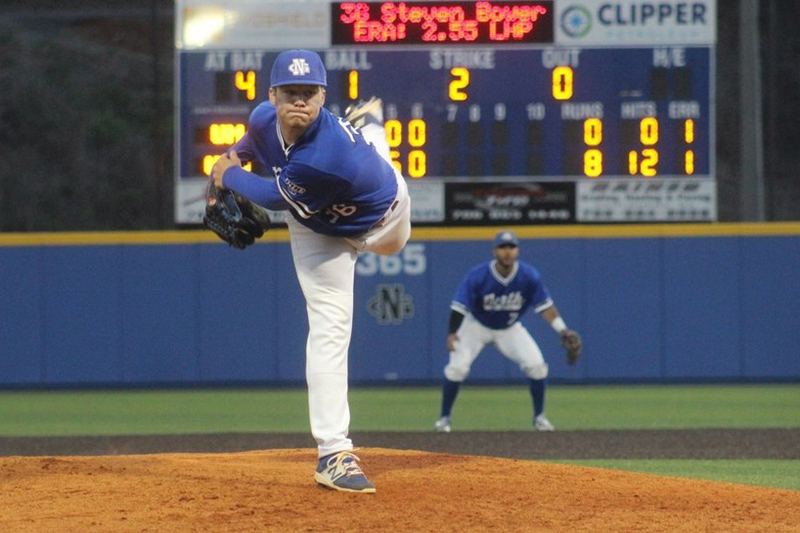 Last season, UNG baseball had its most successful season in program history, winning the PBC regular-season championship – its second in three years – and the NCAA Southeast Regional. The Nighthawks finished the season 46-12 overall and 19-5 in league play. UNG was ranked in Collegiate Baseball newspaper's top 10 every week of the regular season, highlighted by the program's first-ever No. 1 ranking on March 20. In 2017 Cantrell, in his 18th season coaching the Nighthawks, was named NCAA Division II Southeast Coach of the Year and PBC Coach of the Year. The team was one of only 34 NCAA DII teams nationally to earn the American Baseball Coaches Association (ABCA) Team Academic Excellence Award. The 2018 team returns four seniors and six juniors, including first-team All-Conference pitcher Steven Bower and second-team designated hitter Bill LeRoy. LeRoy and Daniel McCrary were named to the National Collegiate Baseball Writers Association All-Southeast Region first team; Bower earned second-team honors. In the 2018 preseason baseball coaches' poll, Georgia College and UNC Pembroke were tied for the top spot with 88 points each. The Nighthawks received three out of 10 possible first-place votes, earning 77 points. In both PBC polls, teams were given 10 points for a first-place vote, nine for a second-place vote and so on. Coaches were not permitted to rank their own teams. UNG softball will start the 2018 season on the road on Feb. 2 at the Gulf Coast Invitational in Gulf Shores, Alabama. UNG baseball opens up the season at home Feb. 2; first pitch is set for 4 p.m. from Bob Stein Stadium.